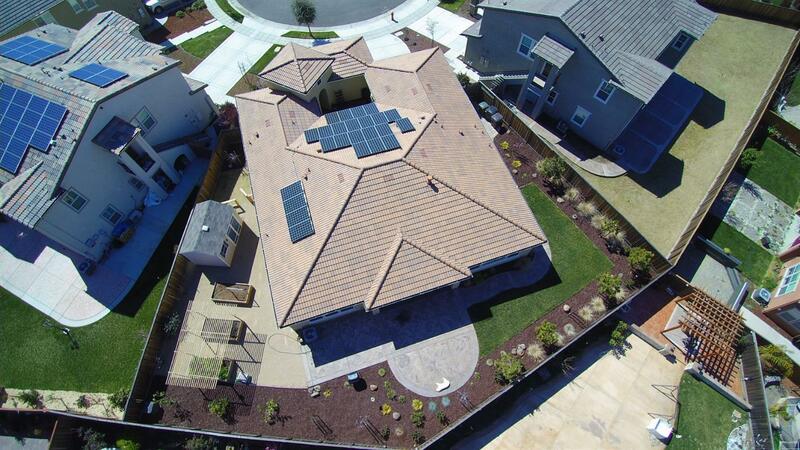 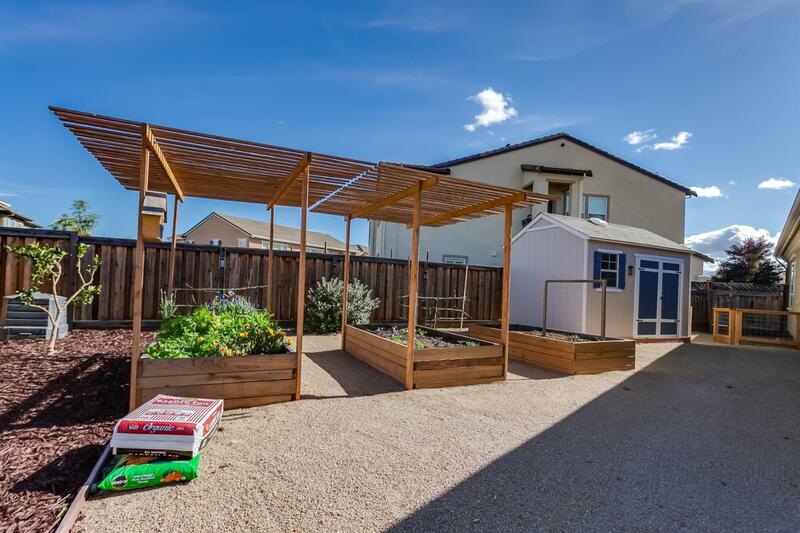 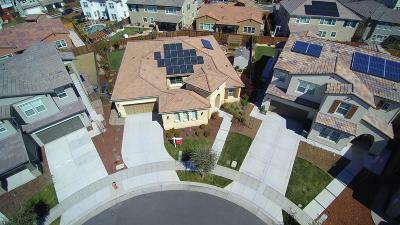 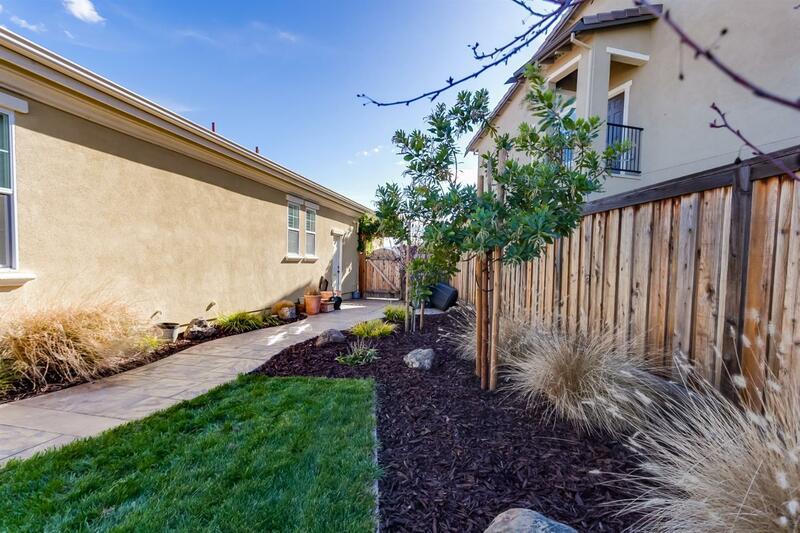 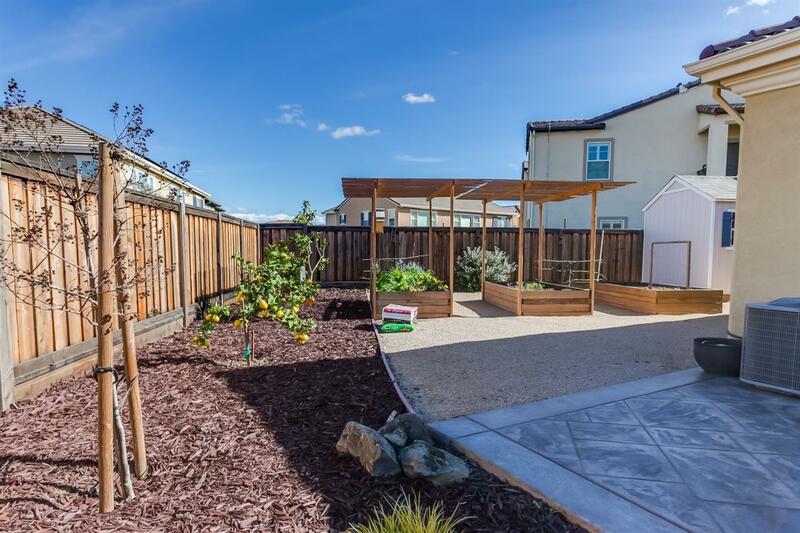 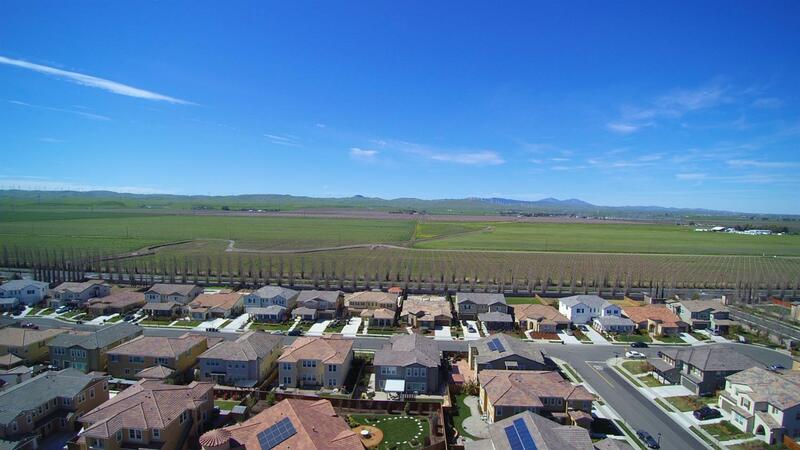 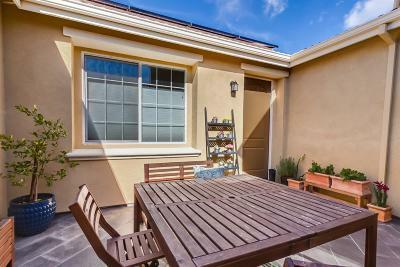 Beautiful newer single-story Solar powered Shea home on .21 acres at the end of a cul-de-sac. 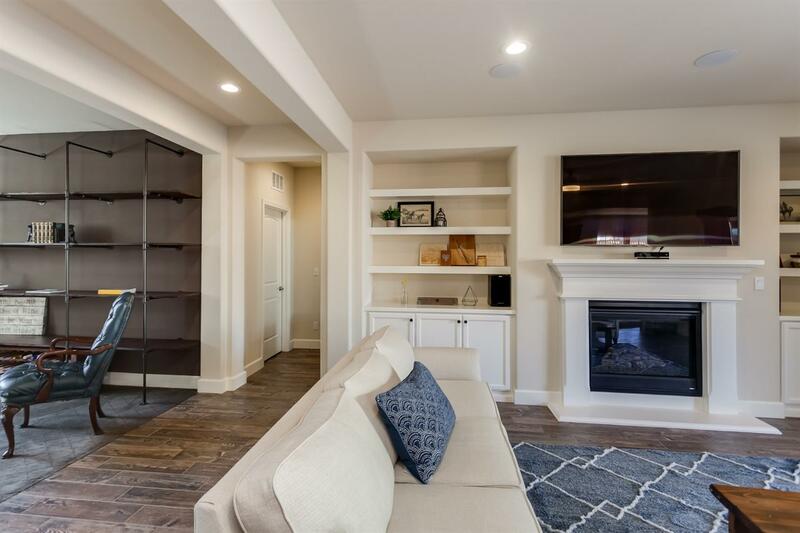 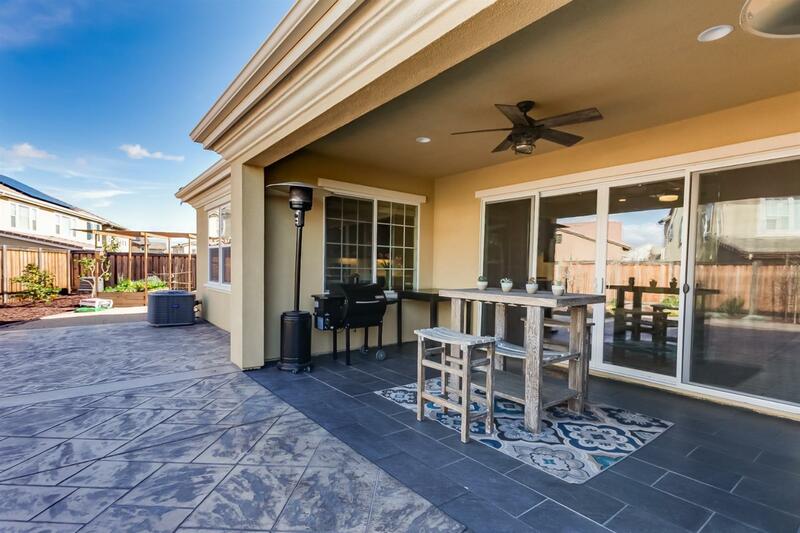 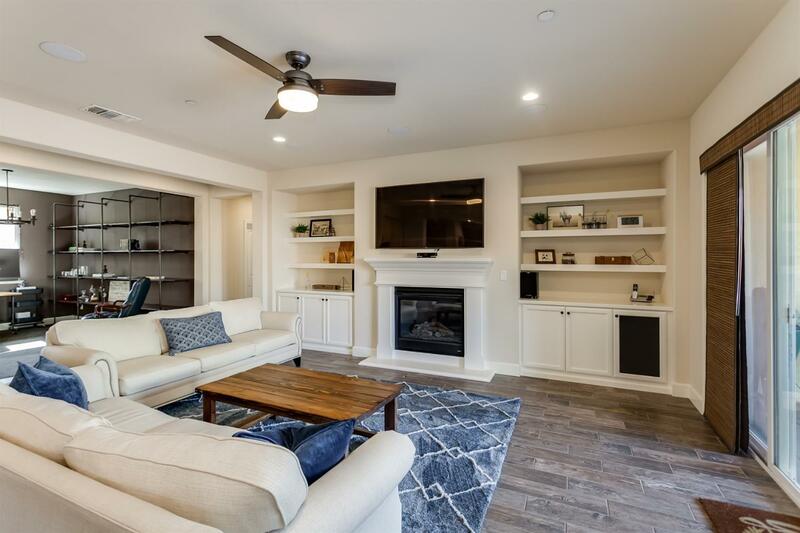 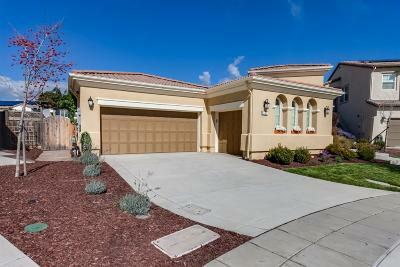  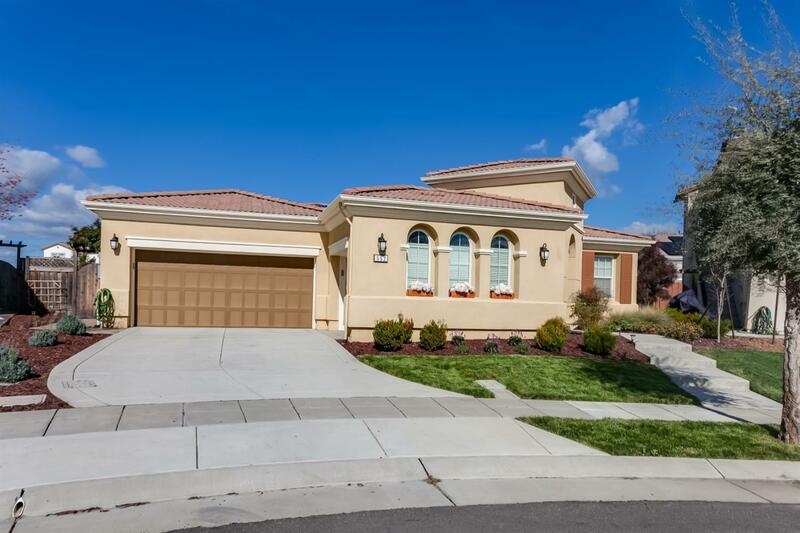 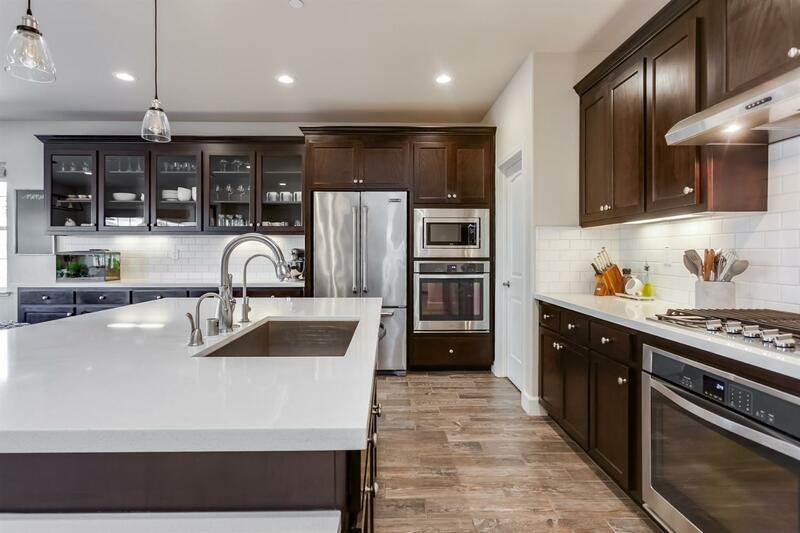 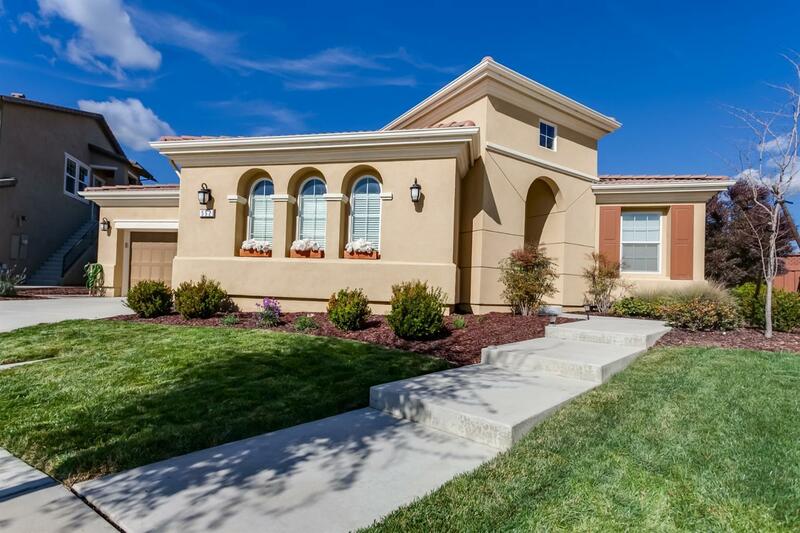 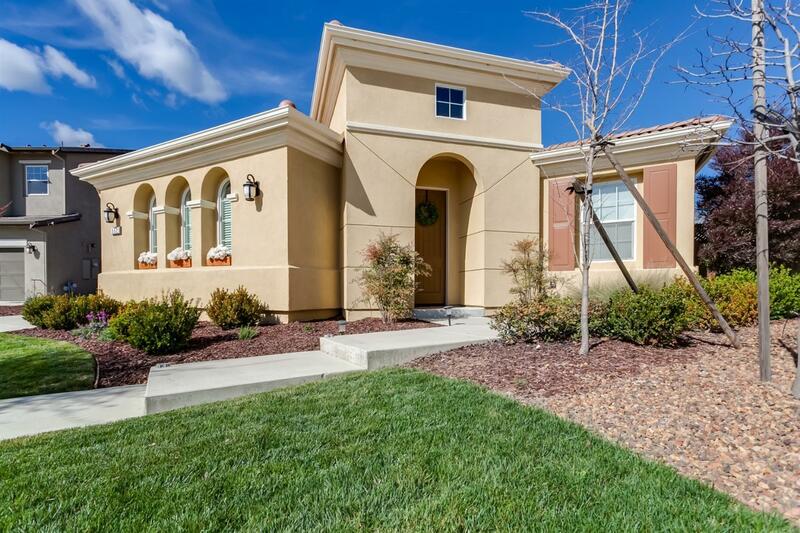 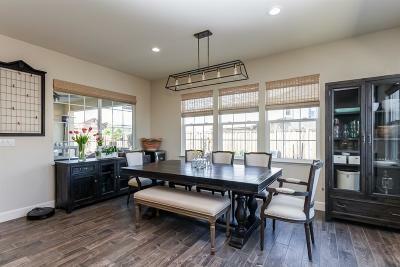 This highly upgraded 2015 built home is turn-key and like new. 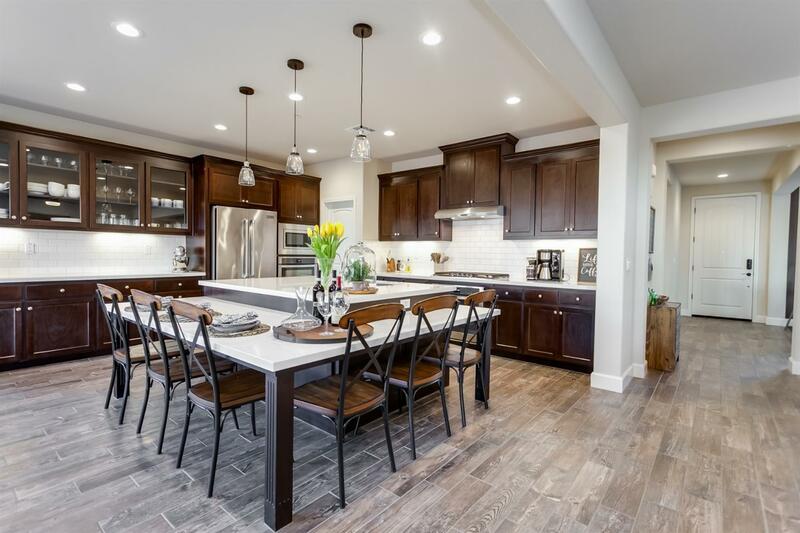 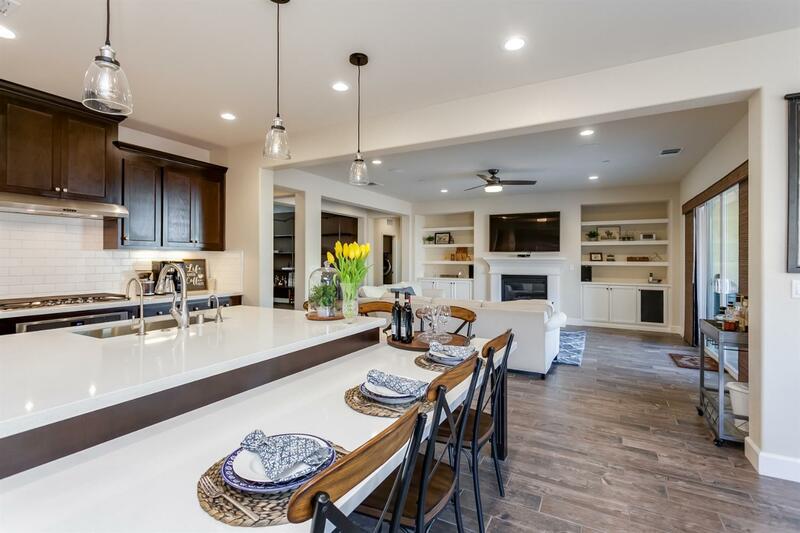 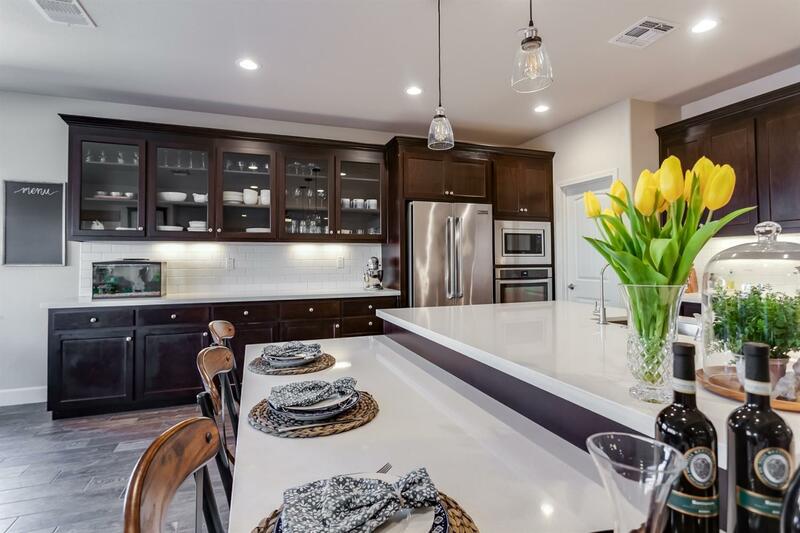 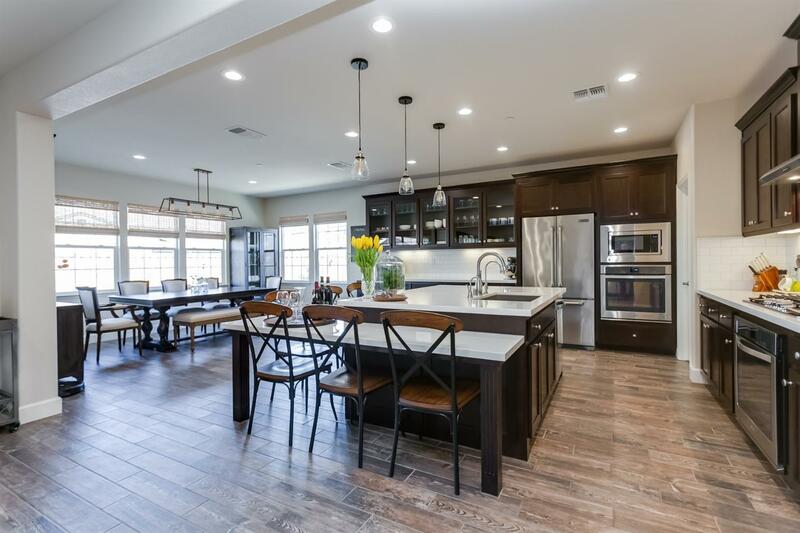 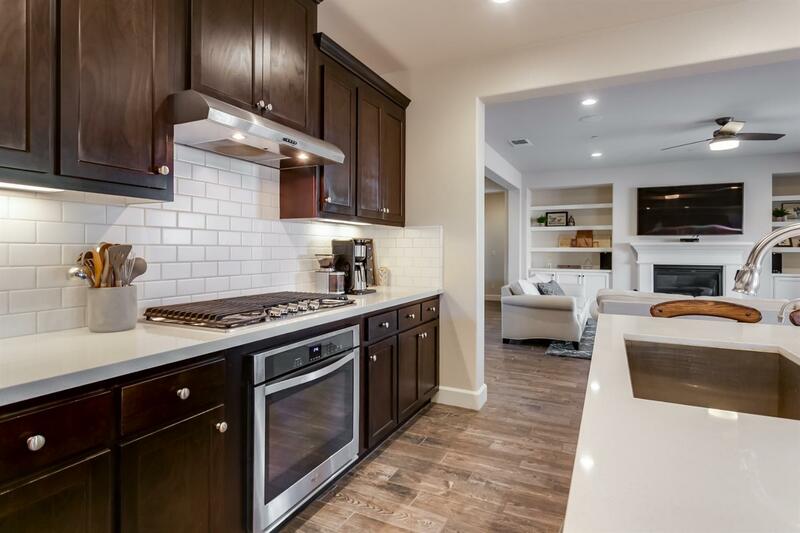 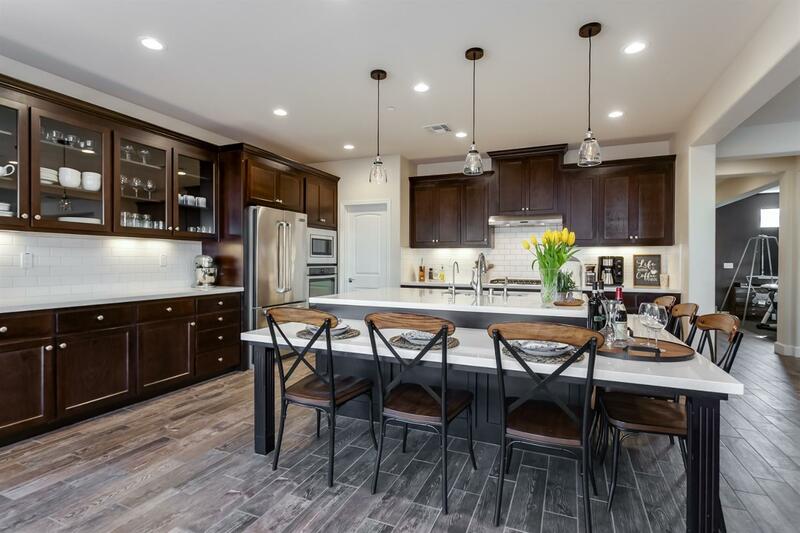 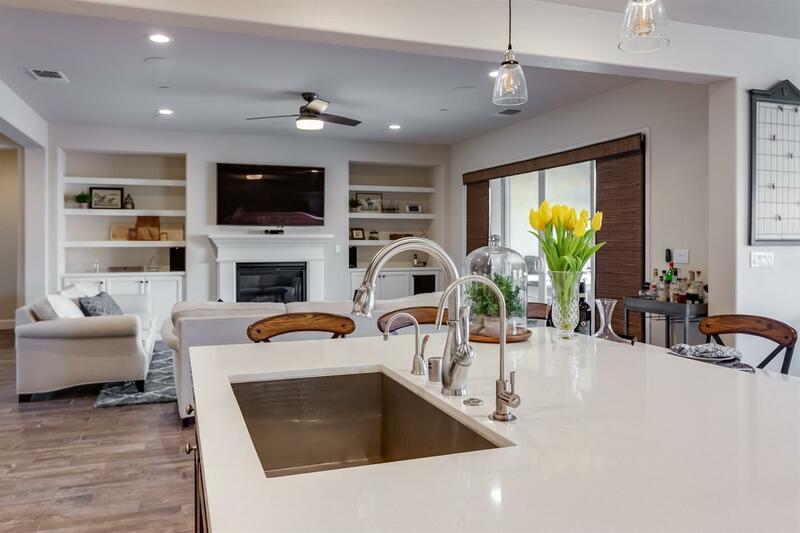 Kitchen boasts Quartz countertops throughout, large island with pendant light fixtures and eat-in counter. The kitchen opens to a great room which offers a cozy fireplace, built-in cabinets and ceiling fan. 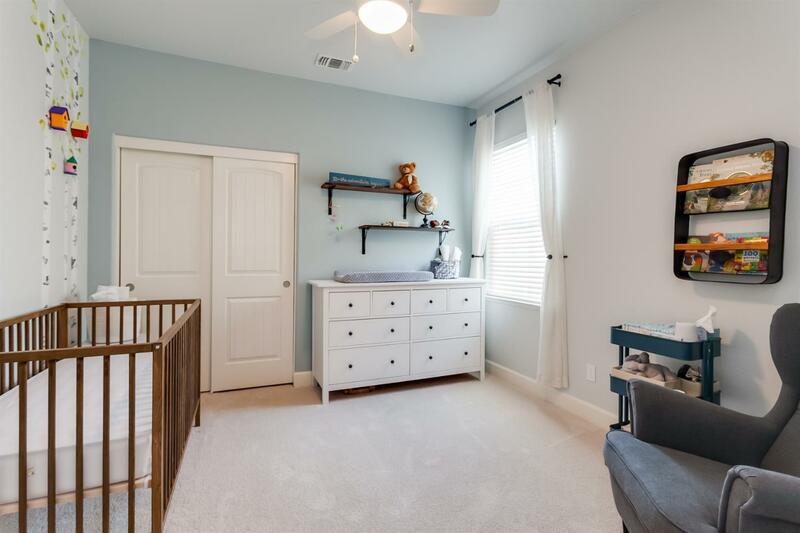 Faux wood tile flooring, upgraded carpet and plantation shutters. 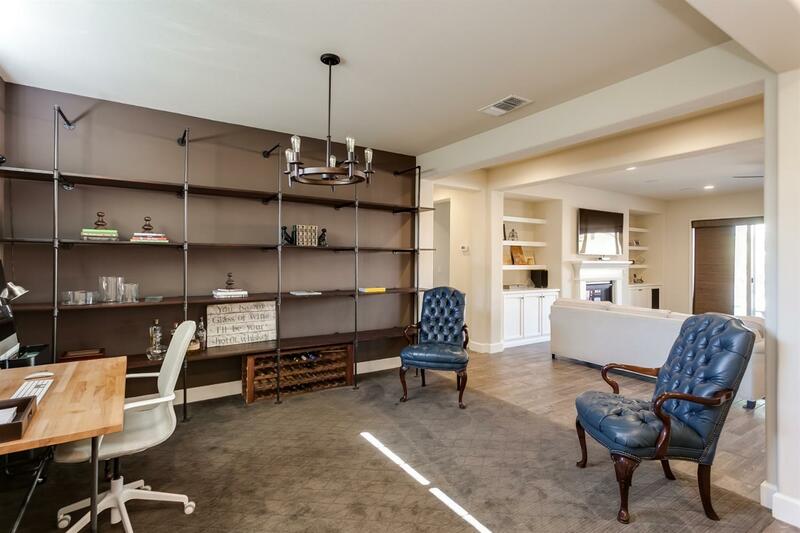 Flex room/office features custom industrial style shelving. 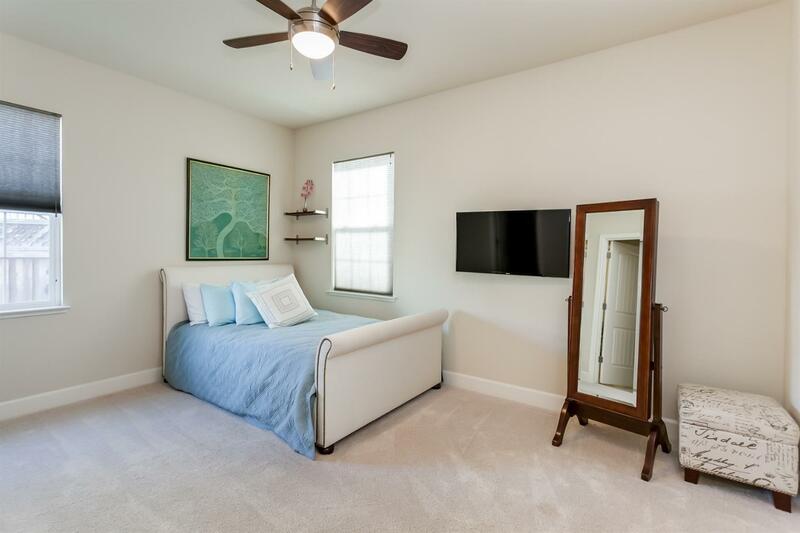 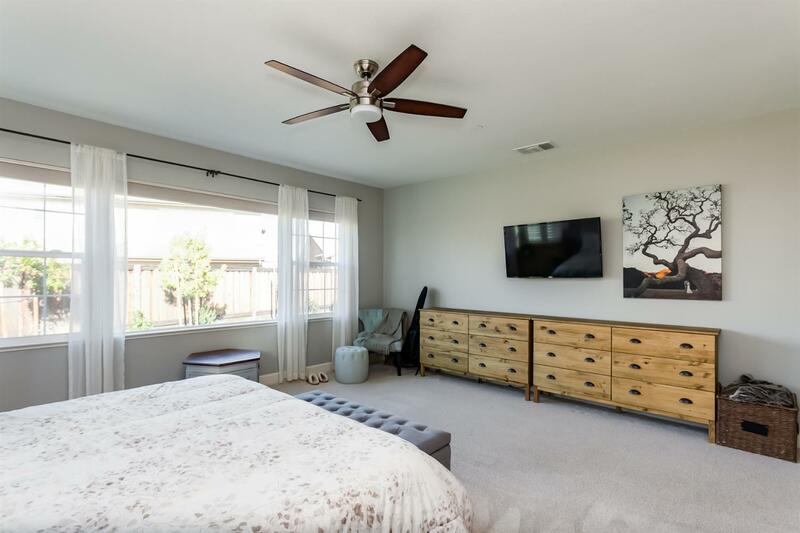 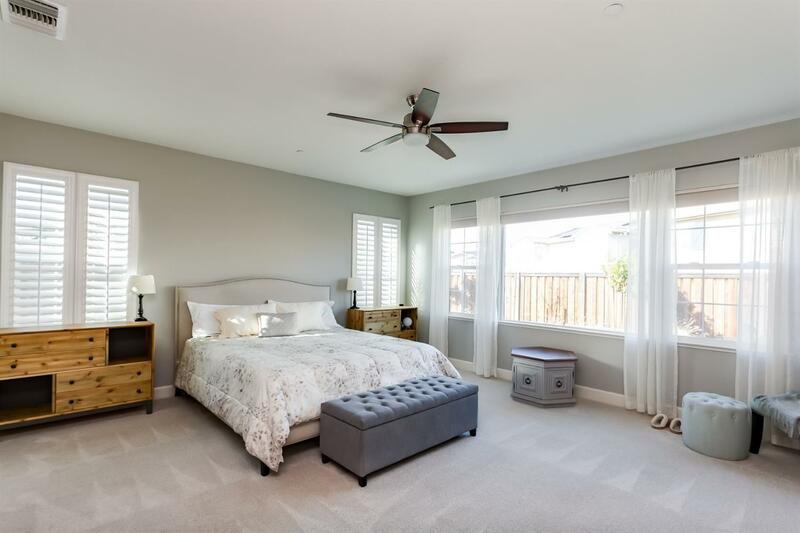 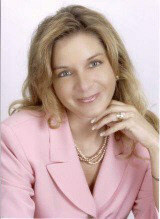 Master bedroom has two large walk-in closets and sliding barn door entry to bathroom. 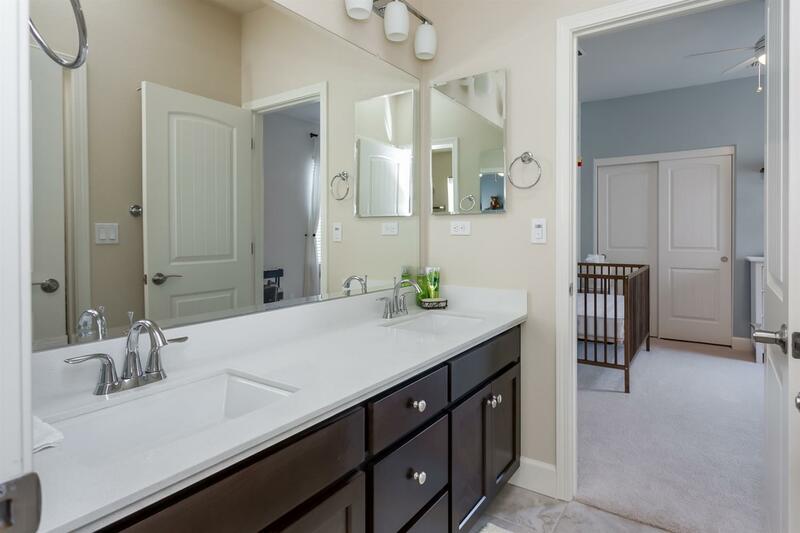 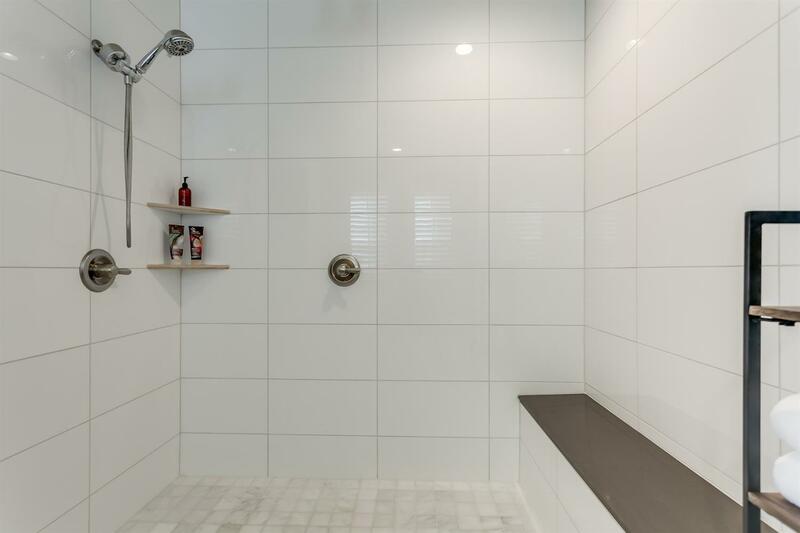 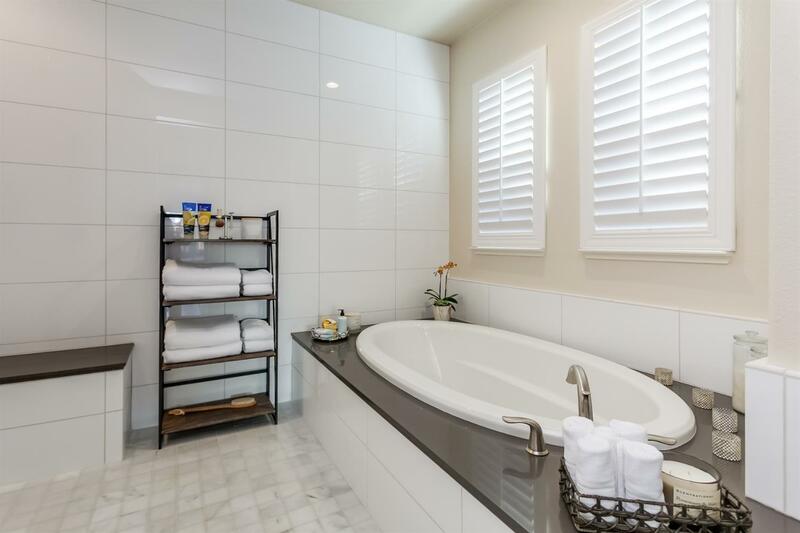 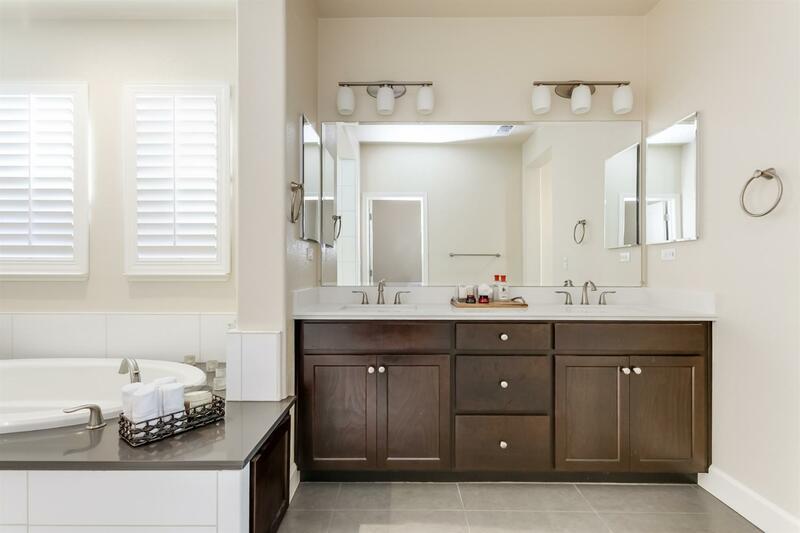 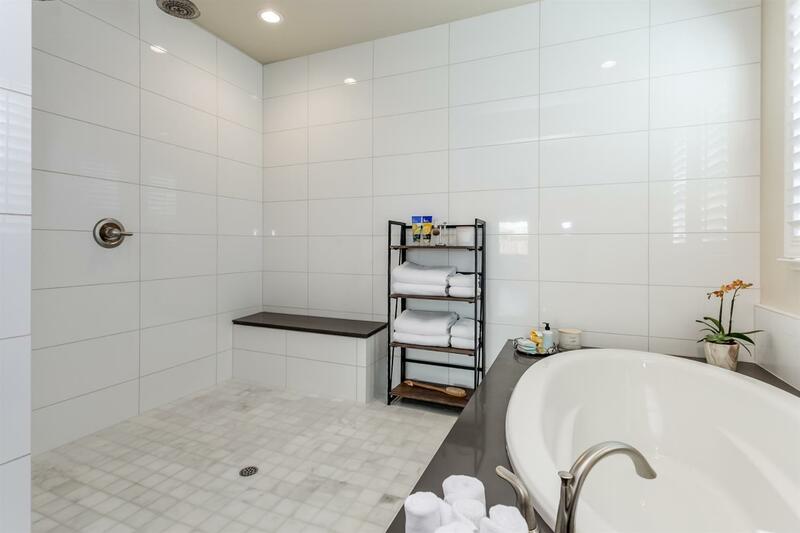 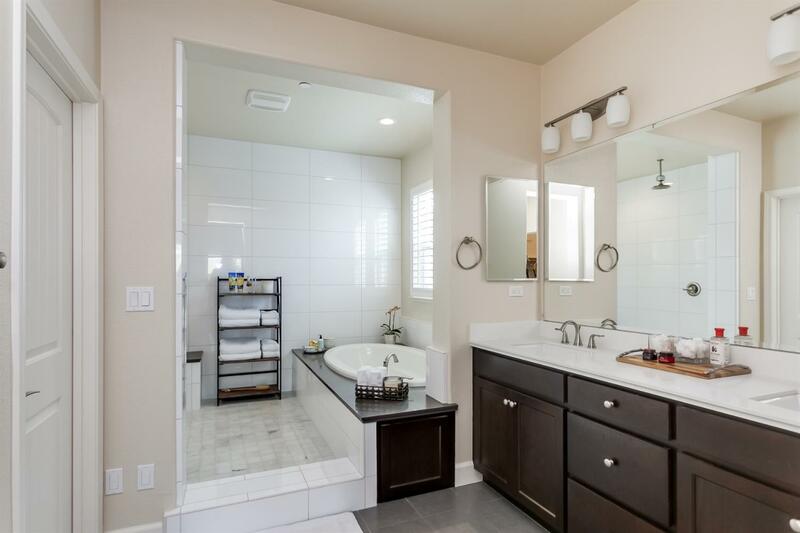 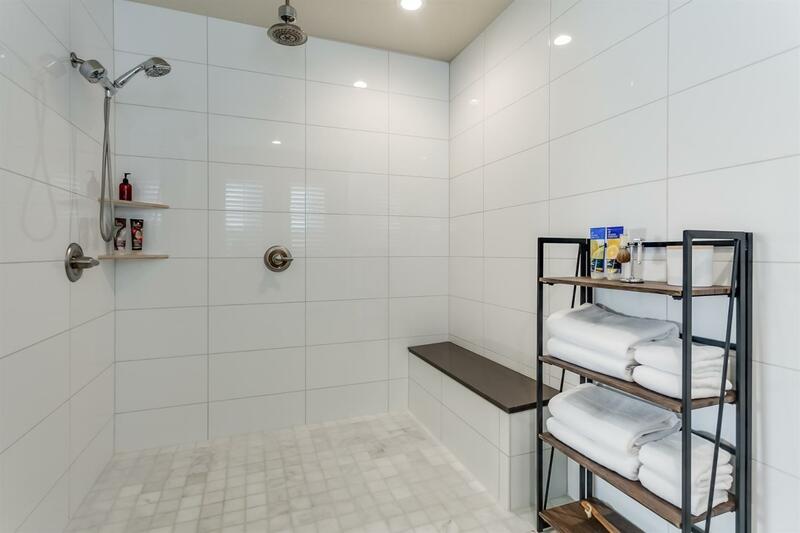 The master bathroom boasts upgraded tile flooring, Quartz countertops, large master shower and bathtub. 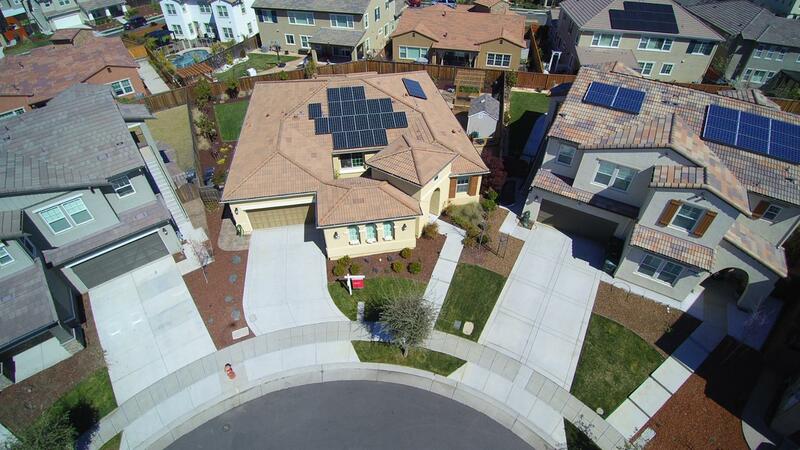 Three-car garage with epoxy flooring, and pre-wired for an electric vehicle charging station. 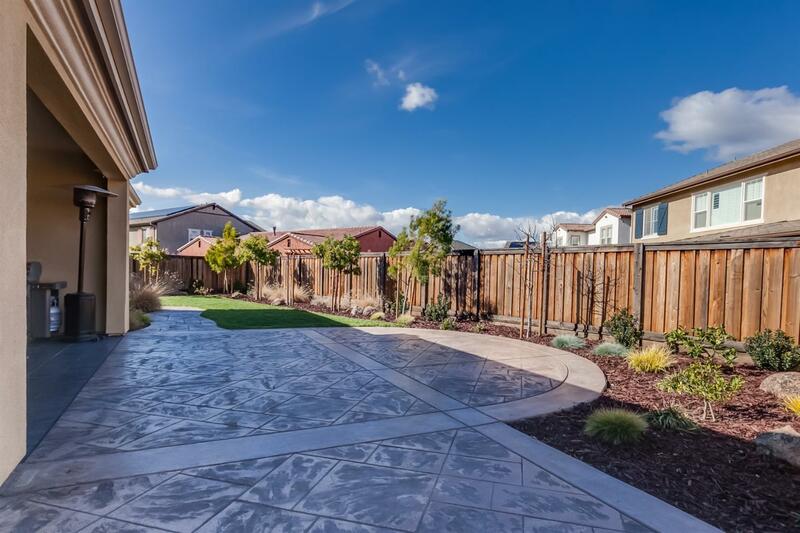 Backyard includes covered concrete patio, grass and dog run area with a 8x12 shed. 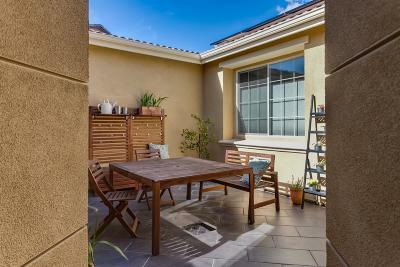 Perfect location, close to schools and parks. 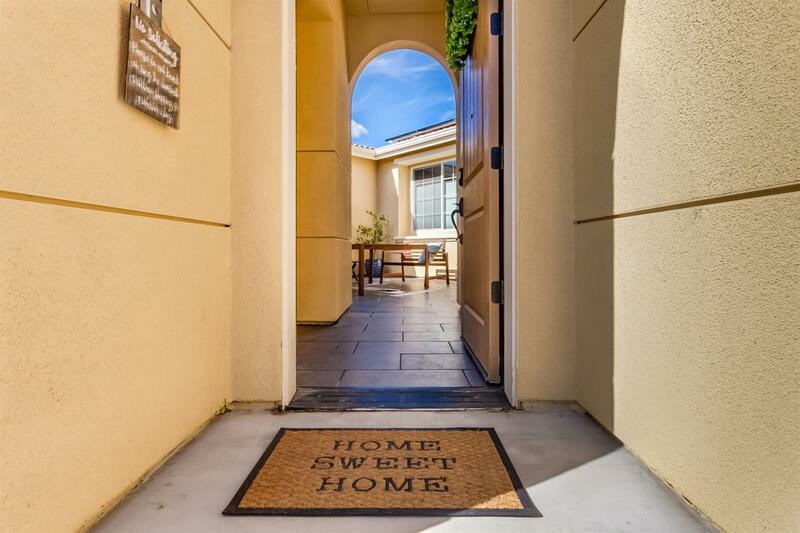 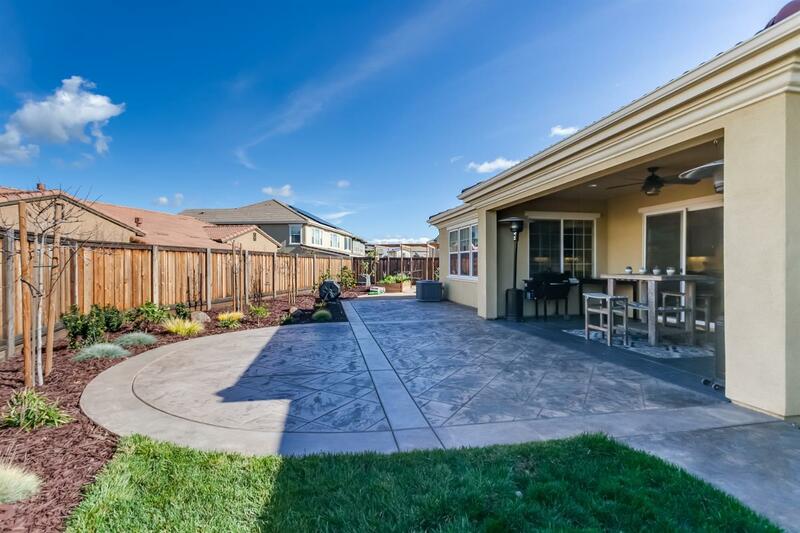 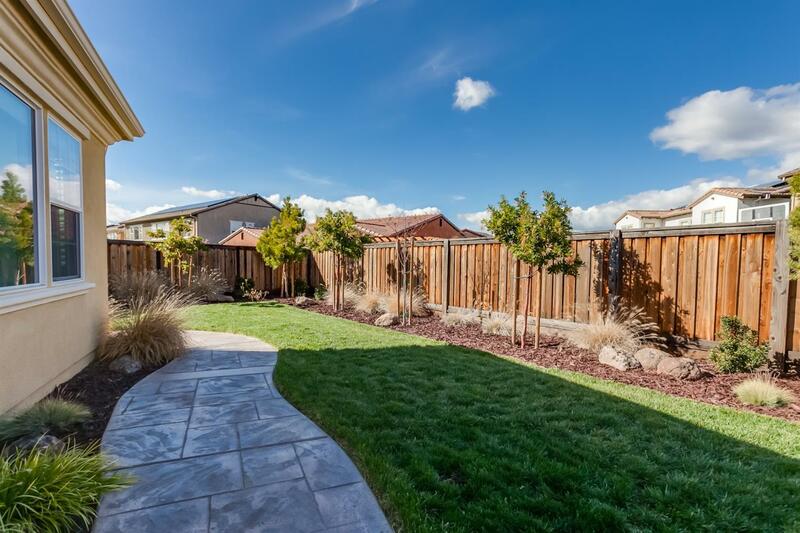 This rare single-story home on a large lot is one you must see to appreciate all the features.